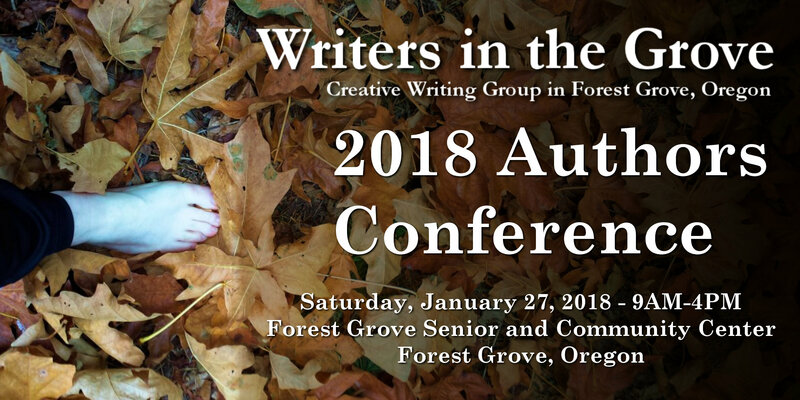 The following events are coming up for Writers in the Grove members and the general public. April 15, 2019. The prompt is to complete a well known proverb in your own voice. A first grade teacher collected well known proverbs. She gave each child in her class the first half of a proverb and asked them to complete the remainder of the proverb as they thought it should go. Write your own ending to the first half of these or other well know proverbs. April 1, 2019: There were two prompt options for this week’s meeting. Give a voice to an inanimate object. What have you done that was absolute fun? Here is what I did …. For Writer’s in the Grove members who registered for the blogging class scheduled for this coming Saturday, March 30, please note that the class has been cancelled due to the instructor being ill. The class will be rescheduled for another date. March 25, 2019: The prompt for Monday’s meeting was a poem titled, Yin, by Paulann Petersen. It was just published by the Carolina Quarterly on their website. at least that much about water. scooped out of the cliff’s base. falling came to its end. his hard-won place far above the rest. hellbent to reach the sea. There are strong images and ideas here. Use whatever direction it takes you as your prompt. The following was submitted by Writers in the Grove member, Patti Bond. through the window screen while you are cleaning your room. earn money for school clothes. The sixties and seventies were so special. hard times but we all had a great time too. March 18, 2019. The prompt for Monday’s meeting was taken from the book titled, The Pocket Muse – ideas and inspirations for writing, by Monica Wood. Donny opened the door to the landlord. “Like playing music after midnight, things like that. “I’ve got some items to go over with you,” Mr.
Have you ever disturbed something that then had unpleasant consequences? Perhaps the phrase “opened a can of worms” would apply. March 4, 2019. The prompt for Monday’s meeting was taken from the book titled, UH-OH Some Observations from Both Sides of the Refrigerator Door, by Robert Fulghum. “UH-OH” is not in any dictionary or thesaurus, and is seldom seen in written form. Yet most of us utter that sound everyday. And have used it all our lives. “UH-oh” is one of the first expressions a baby learns. “UH-oh,” or something like it, has been used as long as people have existed. And it may be the first thing Adam said to Eve after he bit into the apple. She knew exactly what he meant, too. Write about a “Uh-Oh” moment, real or imagined. Feb. 18, 2019 – Due to the The Senior Center being closed for the Presidents Day holiday, the Monday morning meeting of Writers in the Grove will be held at the Forest Grove United Methodist Church in the library room, starting at the regular 9am time. The church is located on the corner of 17th and Cedar in Forest Grove. We very much appreciate the generosity of the church in letting the group meet there. Feb. 4, 2019. The prompt for Monday’s meeting was taken from the book titled, The Pocket Muse – ideas and inspirations for writing, by Monica Wood. spilled wine or fresh liver or SpaghettiOs. Write a character description using colors to imply or suggest internal aspects of the character as a way to lead the reader in developing a more rounded picture of who the character is.